MANCHESTER 11 April 2019 – Beginning today, ClearScore customers in the UK will gain access to Raisin UK’s wide range of savings accounts directly through their ClearScore mobile apps on iOS and Android, as well as through the ClearScore website. This new strategic distribution partnership between Raisin UK, one of the UK’s leading online savings platforms and ClearScore, one of the UK’s leading providers of free credit checks and free personalised finance offers, will allow new customers to benefit from Raisin’s simple and secure route to savings. 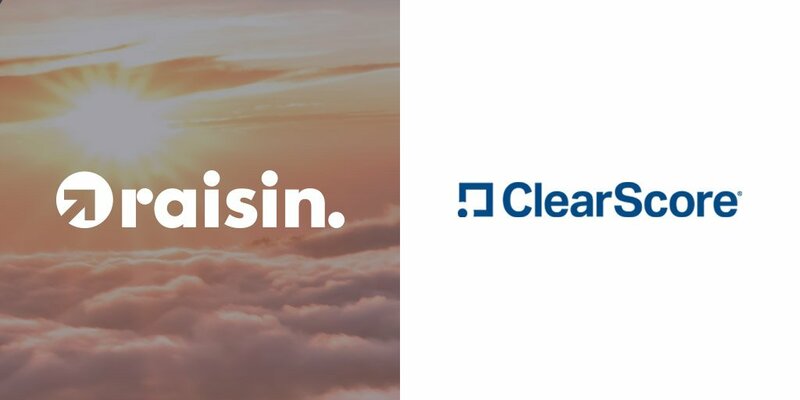 Featuring seamless integration into ClearScore’s website and mobile applications, more than 8M customers of the free online credit check service will be offered easy-access to the Raisin UK marketplace – where they are able to register, apply and manage high-interest savings products from any of Raisin’s partner banks. This is the first savings vertical for ClearScore and the first UK distribution partnership for Raisin UK. The news follows the recent announcement that Raisin closed a Series D funding round of $114 million to expand its offering, and the launch of the Raisin UK Account – a one stop account for UK savers to find, fund and manage a range of rate busting savings products offered across the Raisin UK marketplace. Raisin UK is the British arm of leading European deposit marketplace raisin.com. Raisin was established in Berlin in 2013 and has quickly grown to be one of Europe’s leading financial technology (FinTech) businesses, with over $13 billion of savings deposits processed and more than 170,000 customers across Europe. ClearScore is one of the leading FinTech businesses in the UK. Based in London, we’re rapidly growing, aiming to change the way people manage their finances – starting with their credit score and report. ClearScore’s vision is to help everyone, no matter what their circumstances, achieve greater financial wellbeing. We’ve started this journey by giving everybody access to their credit score and report for free, forever. By combining a brand which people trust, a product which is beautiful to use, amazing technology and deep analytics, we deliver a unique experience that helps people take control of their financial future. ClearScore was co-founded by CEO Justin Basini, and is supported with investment from Blenheim Chalcot and QED Investment. Enter your email address for marketing emails about savings deals, bonus offers and news from Raisin UK. We'll only send the occasional email and won't share your details with anyone else. You can unsubscribe from our marketing communications at any time.